Linden Lab, which innovated the virtual world Second Life in 2003, is entering virtual reality with Project Sansar. The company has been working behind the scenes to build virtual worlds for Oculus Rift and other VR headsets, and relies on its experience with Second Life to inform Project Sansar. Second Life is user-centric, allowing players to create and explore virtual landscapes of their own making. Project Sansar, on the other hand, allows brands to build VR worlds and link to them from websites or third-party apps. Second Life — which at its height had more than one million users — captured the public imagination, not simply because of the complex virtual worlds that users created but that it enabled entrepreneurs to sell virtual goods for real money. 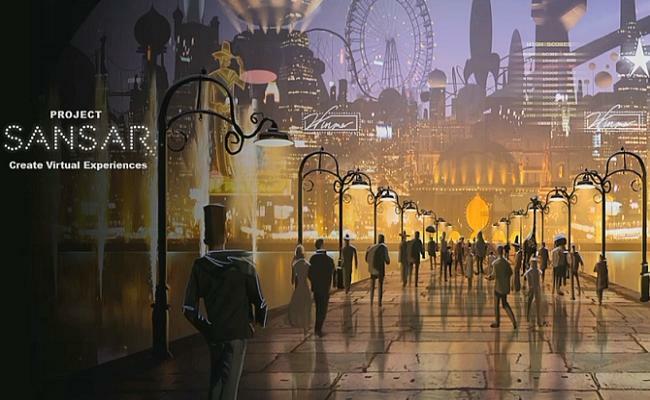 According to Variety, however, Linden Lab chief executive Ebbe Altberg believes that Project Sansar can best Second Life, which still has 900,000 monthly users, in scope and impact. Project Sansar will render at 90 fps, and Linden Lab hopes to provide support for Autodesk Maya, and eventually Blender, Sketchup and other apps. The goal is to make Project Sansar as easy to use for creating VR projects as WordPress is used to create websites and blogs. According to Variety, one-quarter of the world’s websites are powered by WordPress. Project Sansar will benefit from two lessons learned from Second Life. Altberg plans to lower real estate taxes to “make it easier for people to pitch a tent in its virtual world” and the company will also tweak the technical infrastructure to allow for “unlimited copies of an experience,” rather than the maximum 70 to 100 people who could partake in a Second Life virtual space. That means that, in Project Sansar, any brand can open (and close) hundreds of locations at will.